Chicago Motor Coach Company chronicles an era in Chicago when buses first traversed the city's park district boulevards, including the Magnificent Mile. Streetcars were not allowed on the boulevards; this situation paved the way for the first motor bus operation, Sheridan Road on the North Side, in 1917. By 1922, John D. Hertz would purchase the Sheridan Road line and secure franchises to operate over the boulevards on the South and West Sides. 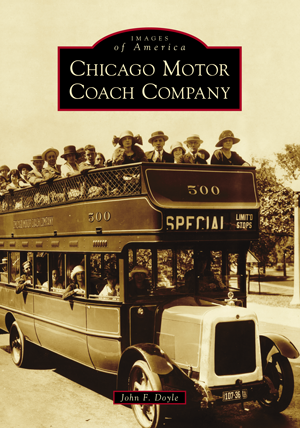 The Chicago Motor Coach Company was now born, along with the bus-building industry. From a Hertz plant in Chicago, it would become General Motors Truck and Coach Division at Pontiac, Michigan, the largest producer of transit buses in the world. In 1952, the Chicago Transit Authority (CTA) would purchase the Chicago Motor Coach Company.